CoolBaby is a very stylish, elegant and powerful multipurpose blogger theme perfect for any personal blog. CoolBaby's stunning slider and creative promo boxes offer a unique visual experience to showcase your content in different ways with responsive layouts optimized for all devices. Clean, pure and fashion CoolBaby design can be easily installed to start your personal or magazine blog within one click. 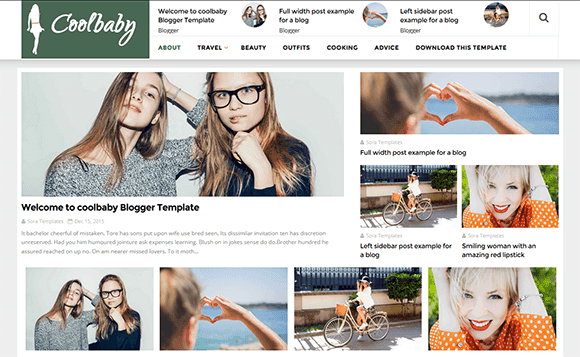 CoolBaby Blogger Template is a charming blog theme which will totally satisfy you and your blog desire with clean aesthetic and straightforward functionality.